The town is located about 50 km from Zaragoza to the south – east and has about 1.5 thousand inhabitants. 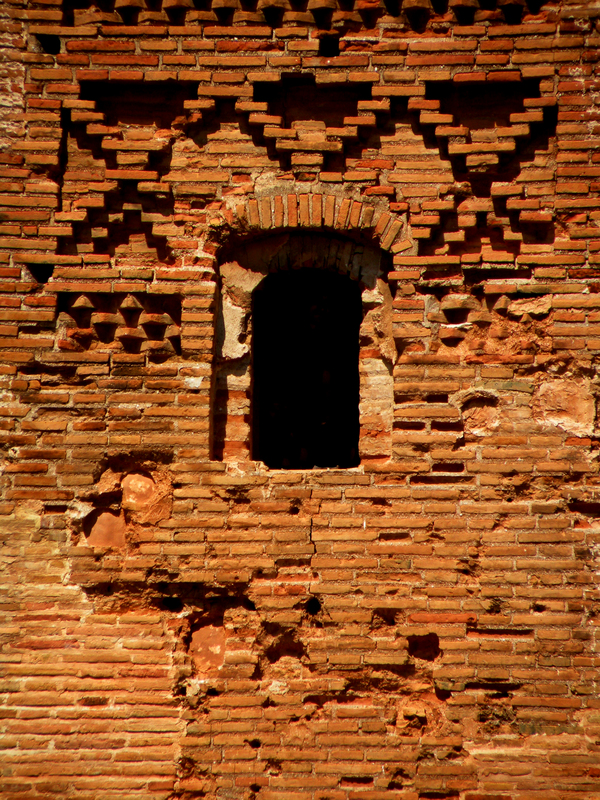 The place is famous for its remaining after the Spanish Civil War (1936 – 1939) ruins of pueblo viejo (old town). 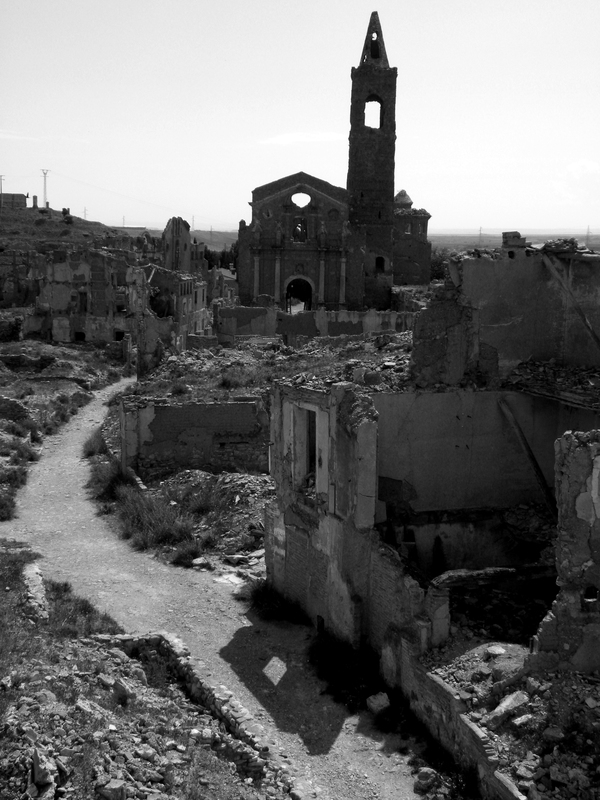 Battle of Belchite occurred between 24 August and 7 September 1937. Republican Army after seizing Quinto and Mediana encountered fierce resistance in Belchite where several hundred nationalists tackled the impending offensive. It was one of the battles during the procession of Republican Army towards Zaragoza, which ultimately ended in failure. Within the old city no restoration work has been scheduled and the nature and slowly manages to regain it’s territory. While it is difficult to notice any remains of furniture or household appliances; floors, walls and rubble look untouched. The ruins contrast the well cared for and clean new city located just behind well preserved gate. Pueblo viejo is dominated by three high buildings. One of them is the baroque Church of San Augustin, built in the eighteenth century. Inside you can see the impressive ceiling ribs, reliefs, column aisles. Another surviving church is the Church of San Martin de Tours also dating from the eighteenth century, in which besides ribbed vaulting ceiling, you can see the remains of murals in blue. Both churches have the towers to which tourists have no access. Halfway between one and the other is a tower of La Torre del Reloj (Clock Tower) on which a narrow staircase. Despite the holes in the inner chimney believes these staircases are often poorly lit, so it is good to bring a flashlight. This tower differs strongly from both churches and was in fact built in the Moorish style in the late fifteenth century. A brick structure on a square plan served as a belfry, now bears his name from the clock, which is installed at the top in the eighteenth century. The tower is crowned by a pyramid-shaped roof. The interior decoration has been preserved only the ornate ceiling. Belchite is a place of memory, which circulate disturbing stories. Supposedly at night you can still hear the moans and screams of people who died in it. wow! two Toledos?! and the style of USA’s the similar as Spanish one? This city really needs restoration work started, but except that I think restoration works wear off the natural and real beauty of the monument/building. The Church of Augustin and La Torre del Reloj are beautiful. I am just wondering how do 1.5 thousand people stay there? 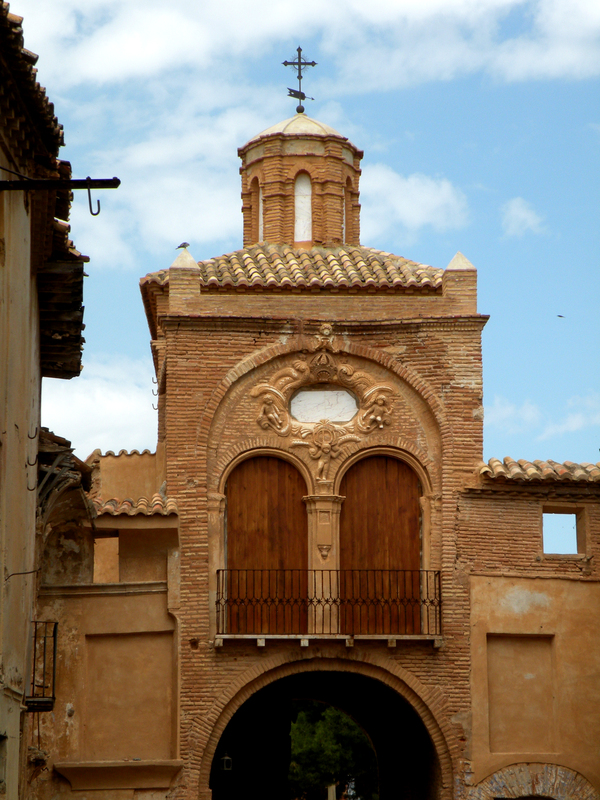 The population of Belchite lives in the modern part of the town, just on the other side of the gate on one of the pictures. That part is well taken care of, clean and beautiful.